The Plymouth Rock originated in the United States and is a dual-purpose and cold hardy bird that is excellent for the small farm or backyard flock. They are large, long lived birds. Some breeds are excellent for laying and others are best for meat. They are generally docile and easy to tame, though they can become broody. They were developed in New England in the 19th century and first showed in 1869. 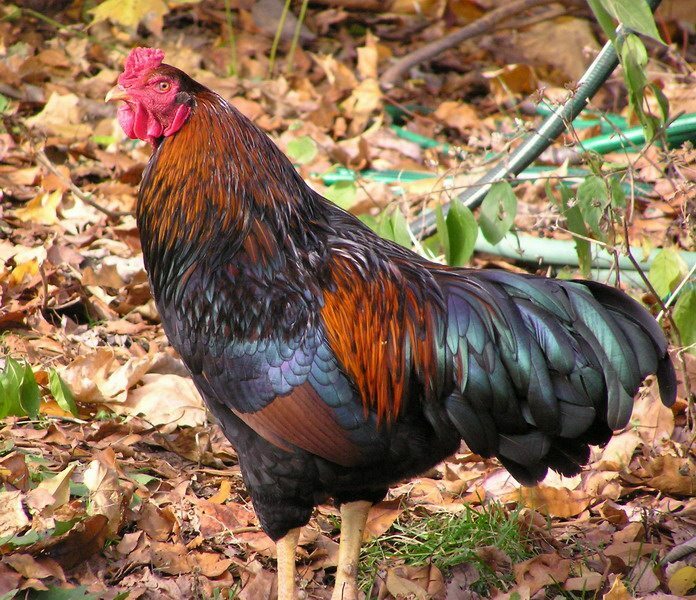 One of the most prized among poultry breeder, this pure English Game Fowl lives up to 16 years. There are few of them and many of the pure breeds have died out over the years. They tend to be more aggressive than other breeds. Males are not recommended around children and the breed in general is not recommended for those who may be a novice at caring for chickens. The should be kept from other chickens as they can be aggressive if they feel they are in danger. Because of their aggressive tendencies, they were bred in the Middle Ages to amuse the nobility with cockfights. 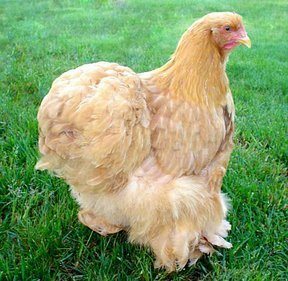 Large, fluffy and loosely feathered, the Orpington is a big, fun bird to have pecking about your yard. Originating in Orpington in Kent, England, this bird lays large brown eggs and though dual in purpose is preferred for its eggs as its skin color is considered too white. They are frequently broody, but excellent mothers. Hardy all year and excellent with winters. The Orpington matures a bit early but tends to be, despite its size, the lowest peg in the pecking order and owners should keep a bit of an eye out to make sure they’re not being bullied too much or too often. Despite this tendency to be beaten up a bit, they are still a rather long-lived chicken. We have one currently approaching ten years this year. Second Oldest Ever Living Chicken: Matilda, a 16 year old Bantam hen from Australia who passed away in 2007 in her home in Bessemer. She was part of a magic act called Mort the Mystifying and Donna. At one point she appeared on “The Tonight Show” with Jay Leno and was survived by her long-time co-star Lucky the rabbit. She was recognized by the Guinness Book of World Records in 2004. Oldest Living Chicken: Blacky, a black bantam born in 1986 and hailed from Geelong Australia. 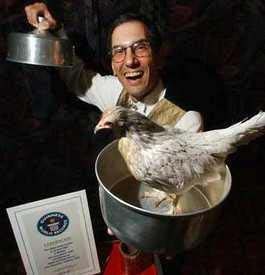 This bird belonged to Veronika and Lasilav Seljak and held the record for longest living pet in the 2009 Guinness Book of World Records.